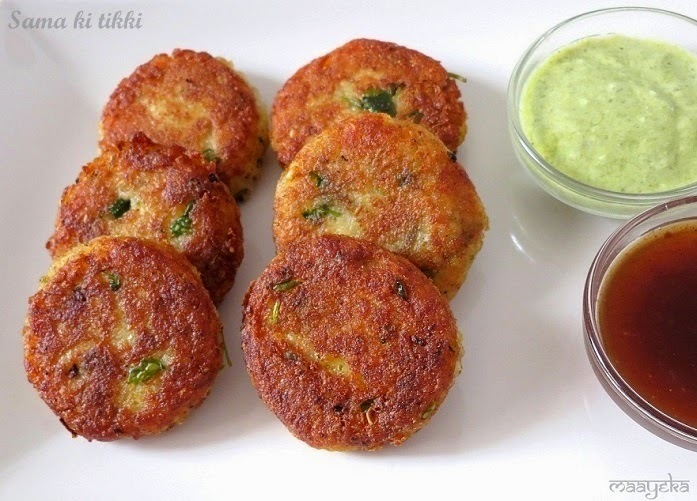 Most of the people in North India fast during Navratri and eat only satvik food as grains and pulses are prohibited during fasting .this sama and potato tikki is a favourite fasting food of my family. 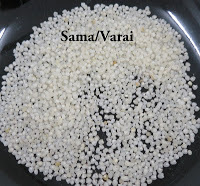 ,yellow pumpkin,yam,bottle gourd,cucumber,raw banana are prefered,and only some selected spices can be used during fasting i.e sendha namak(rock salt),pepper powder,mango powder,asafoetida and cumin seeds.But it may vary from region to region and family traditions and rituals. Add sama and 1 and 1/4 cup water in the pressure cooker and pressure cook for 3 whistles on medium heat. When cooker cooled down completely then take out the cooked sama in a bowl and mash with a spoon and then let it come to room temperature. Grease your palms and make patties of same size from the mixture. 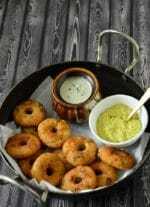 Hi Ruchi.thanks for trying and liking the recipe..may be you cooked them on high heat or used very less oil or ghee to shallow fry them,I cooked them on medium to low flame and used enough ghee so the pattice are almost half dipped in it. Hi..tried the pattice…turned out very delicious but dunno y….dint turn out crispy at all??? They look so crispy and nice..feel like grabbing one . It looks so delicious, I would keep a vrat just to eat this!! I like your food blog, there are delicious recipes! Healthy patties, prefect for the fasting. yes sama is sayamak.I have updated the post with the pic. yummy and very delicious patties for fasting days. Nice Recipe, looks so tempting, what is Sama is it Sayamak? I will love to try this one. I always use sama atta , this is new to me ! Will try it . 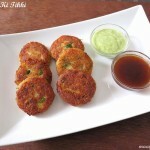 Yummy and tempting patties…great tea time snack. simple yet neat presentaion.perfect for tea. even without fasting i can eat this, looks yummy.